I have an inherent fear of consuming a “whole” something. A whole bag of chips, a whole cake, a whole tub of ice cream, a whole pizza. When I go out grocery shopping, rarely do I ever pick up a snack or sweet treat unless I know that it is going to be shared. The only exception is when they come in small packets or portions that I can label “reasonable”. Reasonably fit to consume, reasonably in my range of caloric intake, reasonably nutritious. 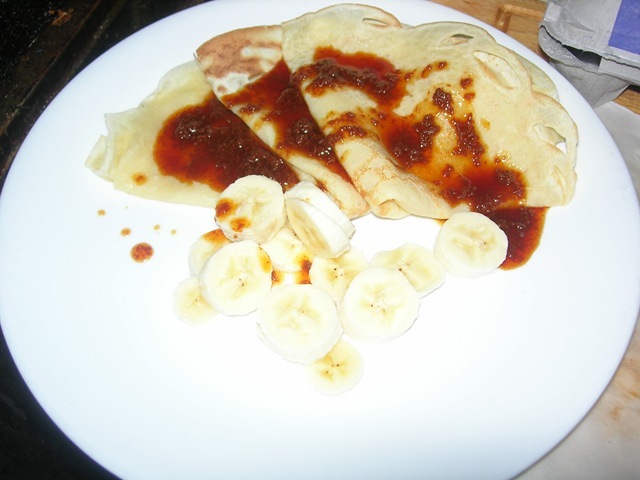 A few days ago I found myself in an unreasonable situation when I decided to make a favourite standby crepe recipe. Did I have anyone to share with? No. Was it within my range of caloric intake? No, given that it served 4 people not 1. Was it nutritious? Sure, if you call white flour, sugar and eggs nutritious. I hadn’t made this recipe in a long time, and craved the bittersweet edge of homemade caramel. Moreover, I don’t divulge quite often, so a little slip off the wagon wouldn’t be too bad. This crepe recipe is from the banks of the wonderful Alton Brown. It is a tender, delicious crepe that is scented with vanilla. 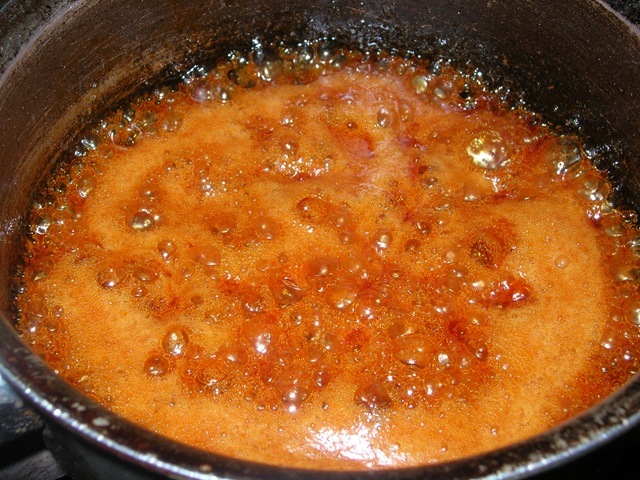 You can find the recipe for caramel anywhere online, because they are all prepared the same way. 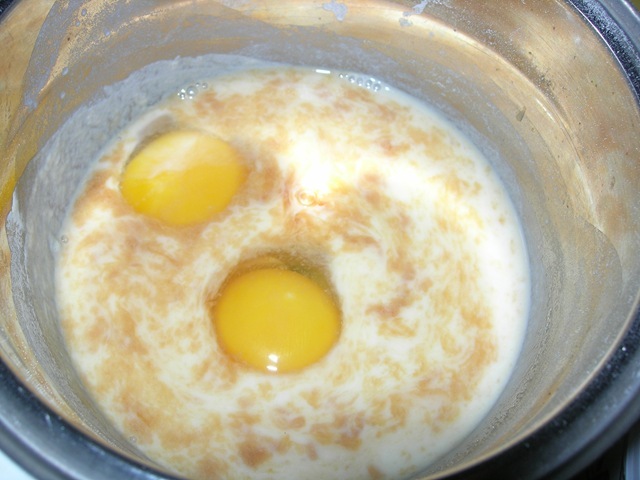 Heat sugar until it caramelizes (never stir the pot to avoid crystallization) and pour in some heavy cream. Instant caramel. that looks really good. is that caramel on top of the crepe? and did u put caramel inside as well? I don’t think seeing that a dish serves 4 has ever stopped me from making and consuming it. Hell I made a stack of pancakes that I’m sure could serve 4, and I ate it regardless.